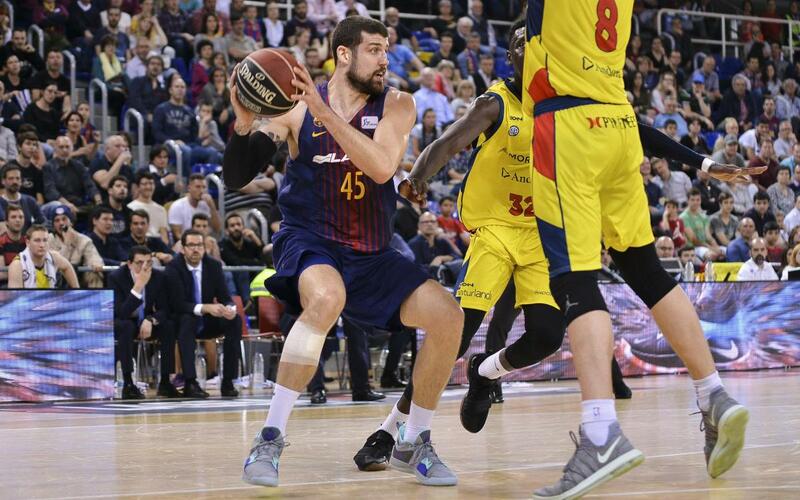 Barça Lassa have beaten Morabanc Andorra for the second time in a week, this time 94-70 in the ACB league, the tenth win of the Pesic era. Hanga, in his 200th game in the competition, led the way for FCB from the first period, contributing five points to the breakaway 9-0 streak early in the game. An even more immense streak, 14-1, meant the home side were comfortably in control at the interval (47-32). The Palau was loving it. The counterattack was proving devastating, and from +15 the difference was raised to +24 and the game was done and dusted. While Moerman (15) and Tomic (16) topped the scoring, it was the team effort that was mainly to thank for a convincing performance. There was no sitting back on the lead. Barça Lassa threw all they had into the game until the very last and the scoreboard reflected it. That’s the way Pesic likes his teams to play. Intensity from start to finish. With three games left to play of the regular season, second place is still a very real prospect for the Serbian and his team.